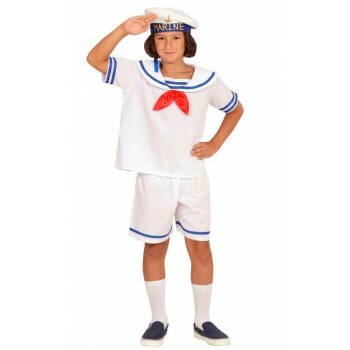 Enhance playtime for your sailor tot with selections from our Boys Sailor Fancy dress ideas. Our Captain Fancy Dress costume is the spitting image of a seafaring captain! Designed in pure optical white, your little navy officer will exude Naval elegance in this proud rendition. An authentic looking naval officer hat is part of this outfit. Gold tone buttons flank the front closure of the top part of the costume. Military stripes accent the shoulders of your little sailor. Cuffs are trimmed in gold-tone embroidery. 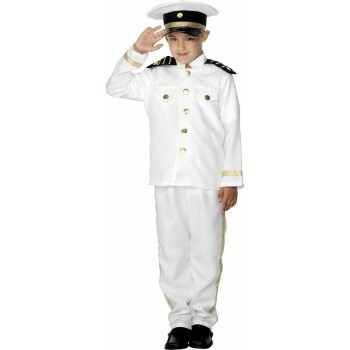 Even the Childs White Retro Sailor Fancy dress costume will have admirer's smiling. Adorably tailored in blue knickerbockers and pale seafoam trim, Boys sailor fancy dress ideas is committed to bringing you wonderful costumes! 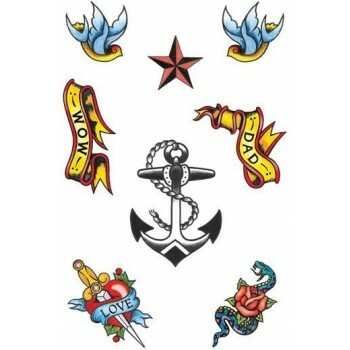 Finish the look with realistic looking Sailor Theme Tattoos and brighten your little sailors day!